*NEW TO 2019 - This home has been recently aquired by new owners who are pouring even more love into this Ocean Front home, including an 8 person, ocean-facing hot tub on the covered deck, bedding in various rooms, updated room decor, and more! Unique, amazing, and tranquil are only a few of the words that guests used to describe this Kill Devil Hills Ocean Front rental home. The rustic wooden interior gives guests the experience to oceanfront homes of the past, while recent renovations keep the vacation updated and unique. Enjoy the hypnotic sounds of ocean waves crashing in the distance as you relax on the furnished, oceanfront porch or stroll down your private boardwalk to the inviting beach. A spacious living area with electric fireplace, massive kitchen (featuring two refridgerators), and numerous bedding options, can accomidate multiple families. 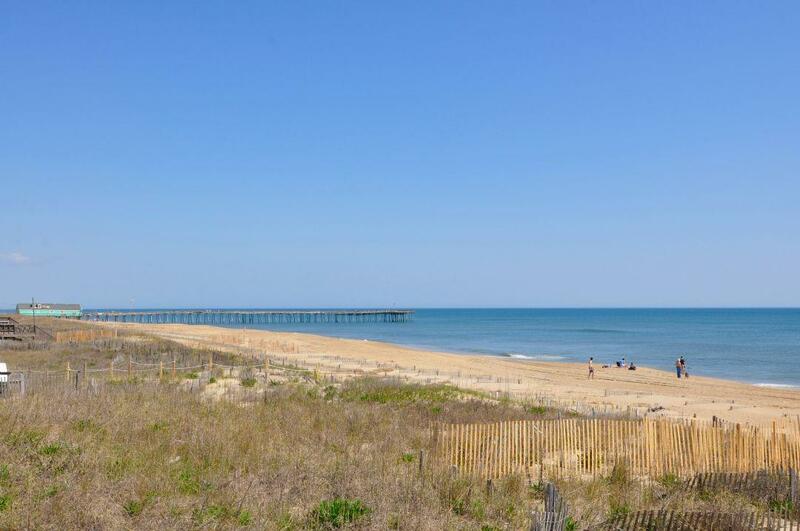 This Outer Banks rental home is located in the heart of the island, close to site-seeing, golf (including miniature golf), grocery stores, restaurants, shopping, and so much more! 601, Caravanserai, will make memories you'll want to re-visit year after year. Lower Floor: Great room with Living and Dining Area, Kitchen with ocean-side laundry area, Full Bathroom, Queen Bedroom, Full Bathroom, Ocean-Side Queen Bedroom. Wrap-around Deck. Top Floor: 2 Twins Room, Ocean-Side Queen Room, Full Bathroom, 2 Twins Room with Bunk, Ocean-Side King Room.